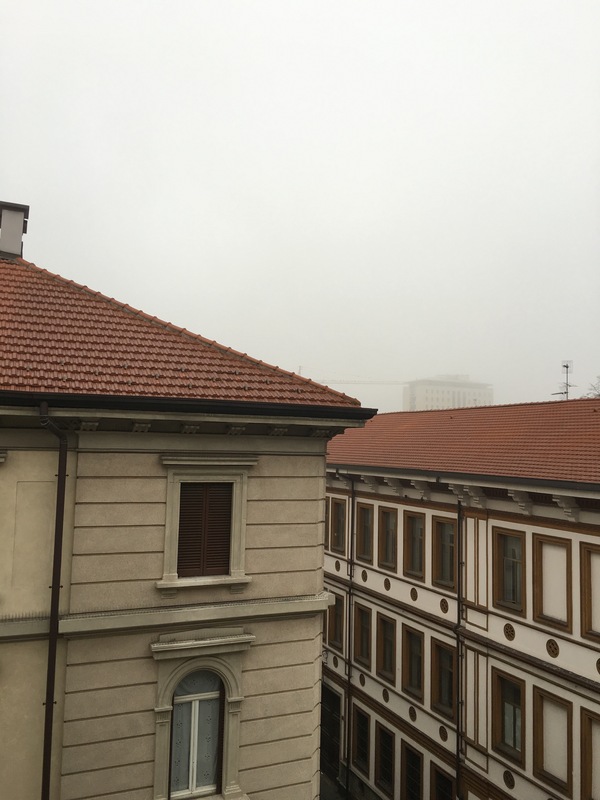 For the last few weeks in Milan, the days have been filled with perfect autumn weather. Perhaps seasonably warm a few days, but generally crisp, bright blue skies, no rain in sight. But the gray, foggy, dreariness of this photo from my apartment window is what we were met with this morning, which seemed apropos given the attacks last night in Paris. The weather matches the mood. The streets were quiet today, everyone walking a little slower, talking a little lower. Maybe it was just my imagination, but it certainly matched my mood. I first learned of the attacks last night on Twitter. I have to say, for breaking news, Twitter is second to none. The details were sparse, and it’s hard to convey much in 140 characters, but it was clear there was something tragic and deadly underway. It was hard to sleep knowing what was happening, the story still emerging, the edges soft and unformed. I woke a few times throughout the night – higher numbers, lower numbers, revised information, things still solidifying. And then morning came, and things were over, and yet just beginning in so many ways. It’s hard to make sense of what’s happening, in Paris, in the world at large. I’m still in my head about it, trying to access language that can explain the incomprehensible. For now, my thoughts, my energy, all drive in a single direction; and while I hope tomorrow that I’ll be greeted with a morning sun, I’ll completely understand if I’m not. Sadly.